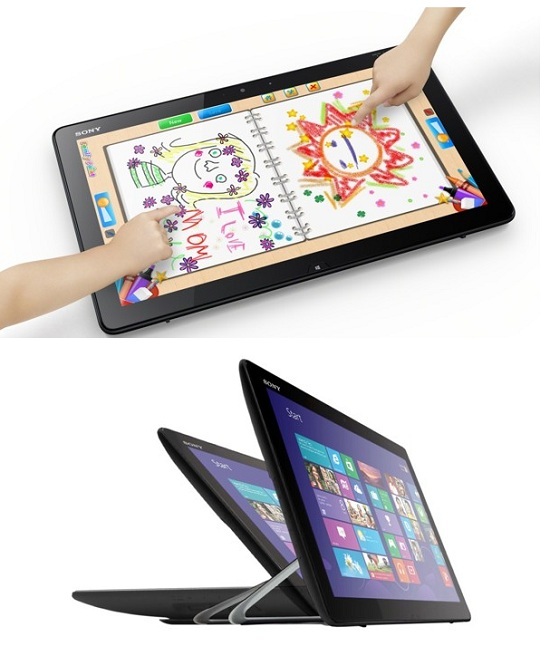 Sony will launch worlds biggest Tablet PC with a 20 inch screen. Well its not actually a tablet but a portable All In One. However the screen is informatively designed and is touch enabled. It can detach from the main computer and act like tablet. This opens up immense possibilities for usage especially for kids. As the screen is touch enabled you can play many cool games and also use it for painting applications. You will actually get a feel of painting on a paper, Sony actually partnered with ArtRange for the finger painting application. Screen has a removable battery. Some of the really cool features of this tab is ability to listen to music in a single touch and share photos with NFC (Near Field Communication) technology. This really looks like a Gadget of the future available in the present. The screen is also drip resistant in case you spill some liquid on it. It will be available for $879.99 not bad for such a cool device.